Every click, every view, every post means arbitrary code executing in your environment. Cloud services have destroyed the network perimeter. You’ve lost control. The banking secrecy act requires that banks conduct ‘know your customer’ research on their clients. Silo provides a ready-made, powerful, cost-efficient and audited browser for reviewing client data. Regulated users need access to public information without violating compliance. Employees access the web securely, and with oversight. No web code ever reaches the firm, and no firm attribution ever hits the web. And all user and admin actions are logged. Silo provides a ready-made, powerful, cost-efficient and audited browser for reviewing client data. Law firms are primary targets in cyber attacks designed to steal sensitive data. Firms are under increasing pressure from regulated clients to comply with infosec audits. Silo allows IT to increase security measures on the corporate network, aggressively managing use policies. IT can maintain employee satisfaction and productivity by providing Silo for access to non-work related web properties without violating policy. Why does nearly half of the AmLaw 100 use Silo? Security researchers need access to code and content that shouldn’t be allowed into the organization. They also need to visit places the rest of the employee base shouldn’t. Silo gives research teams a spoofable, non-attributable, disposable and remote environment for accessing the web. Whether visiting a forum or collecting and analyzing data for casework, Silo is the leading research platform for teams across the industry. How can security teams assess threats without jeopardizing their resources or revealing their identity? The internet is a practical requirement for all government agencies - whether for mission or morale purposes. But government employees are highly prized targets and are subjected to sophisticated attacks. Or worse, employees can exfiltrate sensitive data. Silo gives government personnel full access to the public web without risk or attribution. Government employees get their work done without fear of exploit. IT implements robust access and data policies. And risk and compliance teams get full audit and oversight of how personnel access the web, where they go and what they do online. Payers and providers alike deal with sensitive and regulated data. Leaking or co-mingling personal web content with HIPAA or PII content presents profound risk to healthcare organisations. Whether segregating personal web content or providing a policy-controlled secure browser for access to covered data, health care organisations of all sizes use Silo to rationalise their governance and security requirements with the unregulated nature of the web browser. How is HIPAA data managed in a web-connected world? Reporters are in harm’s way. They’ll go to great lengths to get the story, even if it means exposing themselves to exploit. Journalists and researchers alike use Silo as a fully anonymous, anytime– anywhere secure browser for accessing the web. Reporters can access content, save preferences, and communicate securely without anything reaching the end point. Full access with no risk to themselves or their news organization. 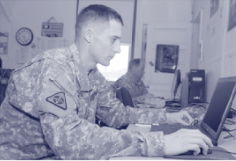 Military personnel are deployed to far reaching locations and have limited access to compute assets, but still need access to the web for mission tasks or morale. Silo gives them a centralized browser profile they can access from anywhere. All data stays secure in the cloud, never leaking data to the endpoint and never revealing the identity or location of the personnel. All communications channels are encrypted, and good governance is preserved with full policy controls and user audit. Silo allows IT to increase security measures on the corporate network, aggressively managing use policies. But still maintain employee satisfaction and productivity by providing Silo for access to non-work related web properties. All without violating policy. Admins can set group-based policies to enable or restrict capabilities depending on the role of the user – for instance, allow developers to access github, but not the marketing team. IT gets comprehensive and consolidated web logs that are encrypted with your key. Total command and control of the web. Try Silo now. Launch a limited version of Silo from within your browser. Test a full version of Silo with Admin permissions and policy controls. Teams stay secure and anonymous while accessing sketchy parts of the web. Spoofing, re-routing and data capture. Anybody can secure their sensitive information and stay safe and anonymous on the web. Companies take full advantage of the web without risk. From security to DLP policies, Silo puts you in control. Unlike other browsers, you’ll pay for Silo. That’s why we never have to share your data for any marketing or other commercial purposes. You’re not the product. If you use Silo, we give you tools to encrypt your data with your key, and delete your data from our services. We can’t convince you to trust us with a page of web content. But as a founding team, our reputation should provide confidence. Before Authentic8, we built the leading cloud-based email security business. Eight years of service and trillions of emails processed without an information security leak.